After the fantastic turnout of a large Marquise Goodwin Jersey and enthusiastic crowd Marquise Goodwin Authentic Jersey for the March 24th event – I am pleased to announce that Data Center Marquise Goodwin Womens Jersey Evolution has become the “Annual Sponsor” for the remainder of 2014 for the Houston Marquise Goodwin Youth Jersey Technology Happy Hour. 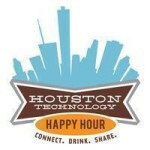 We are very pleased to be partnering with the founder of the Houston Technology Happy Hour, Duncan McAlynn, to put together these monthly outings. The events are designed to provide a fun, comfortable, informal setting for Houston’s technology professionals and enthusiasts to mix, mingle and collaborate. Be Marquise Goodwin Kids Jersey on the lookout for details of the May event which will be out soon! Yesterday’s event Malcolm Smith Jersey was great! Thanks to Houston Technology Happy Hour Malcolm Smith Authentic Jersey and all guests that attended. The Malcolm Smith Womens Jersey venue was a great place as well. [VIDEO] What is Data Center Evolution? 2013 has truly been an exciting start for Kiamesha Global. I want to thank our customers and supporters for helping us move into 2014 full steam ahead. We are well positioned with strong partners and suppliers in the Data Center Facility, Wide Area Network and Cloud Service space to offer a unique, high-value information technology ecosystem service. Enterprises looking for experienced support in navigating the external service provider market to improve service delivery to its business units will find an attentive and knowledgeable partner in our team. Kiamesha Global’s social Media production and industry advocacy group Data Center Evolution continues to gain momentum entering 2014 with nearly 800 global members. The first major event, DCE 2014 & Beyond, will be held at the Marque Club on January 15th in Houston, Texas with an exciting roster of speakers including Radware’s Vice President of Security Solutions Carl Herberger, Telesource Communications President Adam Myers and CyrusOne Founder David Ferdman. A fantastic spread of food and beverages will be served by the Marque staff with a special tasting on hand from premium tequila brand Riazul. This will surely be a memorable evening! Here is to a great ride into 2014 & Beyond! Kiamesha Global consultants and associates are regular contributors to industry specific professional groups and produce independent publications. This blog site will Aaron Burbridge Jersey be regularly updated with new content. Please stop by often to check it out! The group is a Aaron Burbridge Youth Jersey production of Kiamesha Global LLC. It’s members include many leading IT journalists, executives and entrepreneurs from around the world. Kiamesha Global President & Managing Consultant, Aaron Burbridge Kids Jersey Todd M. Smith manages the Data Center Evolution Group and is a regular contributor to the content of discussions. Pondering PUE – What does it mean to the end user community?